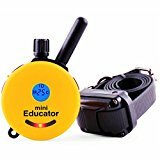 What are Electric Dog Training Collars? Most people believe that the training collars are something negative and that using the electric ones are ruthless towards the dogs, but in fact these things can be extremely effective, and especially if the training with them is done properly. That is why it is very significant to use a quality that is of the best possible quality; don’t get a cheap one because it is going to cause possible short outs and possibly hurt your dog. There are some collars that can be considered more effective than others, and that is exactly why you ought to take your time and see what it is that they have to offer before going out and purchasing a collar. We have helped you make a good decision regarding the collars by picking out the 5 best ones. 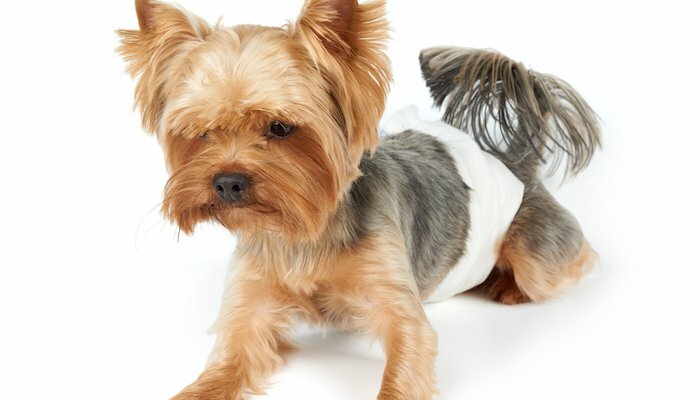 They are all top of the line products, and if you’re planning on getting one, make sure you pick one of these 5, rather than getting a cheap one and possibly harming your dog. Night walker? Try an LED collar for safety in the evening. These electric dog training collars are devices that can be fitted around your dog’s neck, and can be worn by your dog just like any other collar. However, these collars have the possibility of either sending a short shock to your dog, or sending a sound that is going to help the dog realize that he’s doing something wrong. Eventually, the dogs figure out that the negative responses from the collar come due to their barking, which causes them to stop doing that. There are numerous different settings that could be used on each collar, and each of them comes with amazing special features. There is a huge range of uses in these electric collars, and they should under no circumstances be observed as just a one-purpose item. So, let’s discover what they are first. 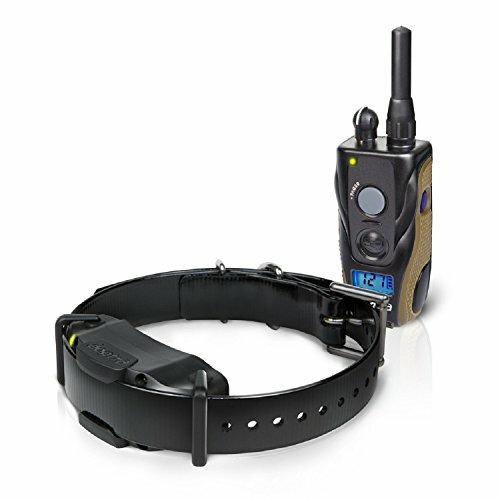 These electronic collars can sometimes be a bit confusing due to the fact that they have several different names that the people use for them, even though they constitute the very same thing – a training collar. Some people call them shock collars, others e-collars, or even the remote training collars, etc. The concept of an electric collar is rather simple, and what it does is basically this: this electric collar delivers shocks to your dogs usually via remote control. This shock can be of different strengths and lengths and occurs on the dog’s neck, where the collar is located. There are some collars out there that warn your dog of his bad behavior by offering different means of shock, like a vibration, scent, beep, etc. What’s great about these collars is the fact that the feature set used for them can also be extended to using mapping capabilities and GPS. 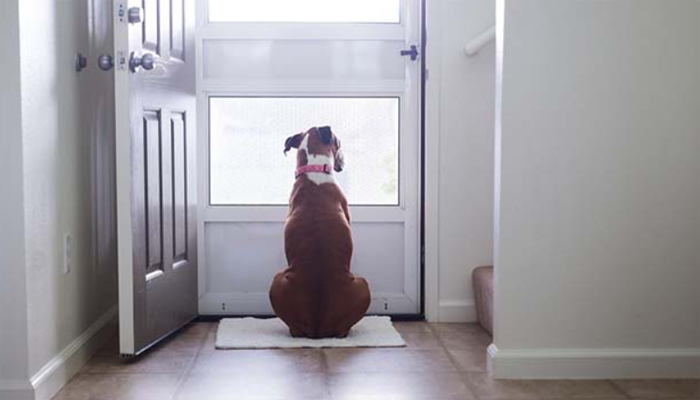 Pet Containment – Most dog owners want to keep their dog within their property, in order not to allow it to wander off, to annoy the neighbors, to chase other people’s pets, to chase cars, etc. Basically, you are doing that not to allow your dog to go away, get hurt, or to hurt others. The invisible fence can be put out, and thanks to the collar, the dog is going to feel a shock every time he tries to go past the line of the invisible fence. Pretty soon, the dog is going to learn that going past that line is a no-no and that leaving the property results in a shock. Excessive Barking – An electric bark collar sends slight jolts of electricity to your dog whenever the collar senses that your dog has been barking. There are some dogs out there that just won’t stop barking, and this sometimes has to do with the dog’s breed, because some of them are more prone to that action. If the dog keeps barking and the duration, intensity and the force of it remains the same, the electric shocks can automatically be increased. Basically, you can allow the collar to punish the dog proportionally to the amount of his barking. You can try an ultrasonic anti-barking device for dogs. 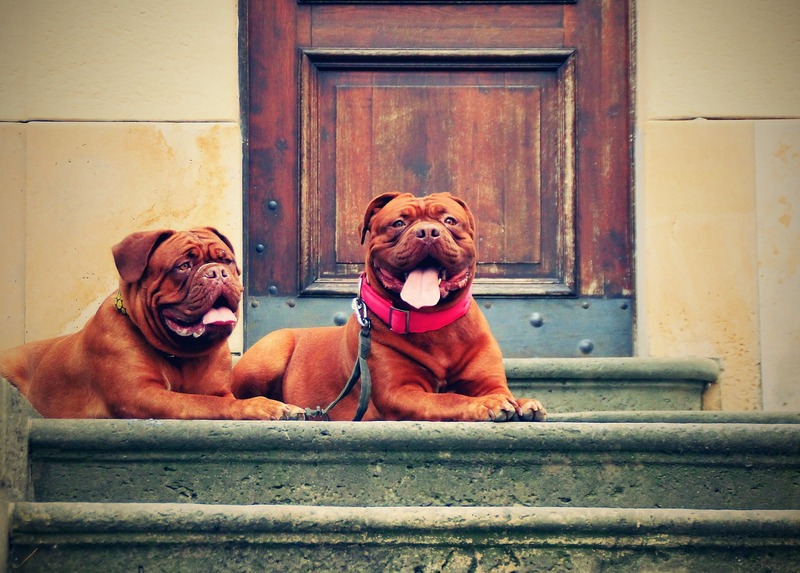 Problematic Behavior – There are some dogs out there that are just having some behavioral issues. They just don’t want to stop barking because of this, and the only way for you to make him do so is with the help of this collar. This will help administer a consistent correction, and the dog will ultimately realize that the source of the negative effect is the barking itself, which will make him stop doing it. Protection – This collar is also great for protecting your dog from all the other dangerous pets and animals, people, or rotten food. You can also save other animals from your dogs, such as small kittens, or chickens. These collars have various different names; some people call them shock collars, e-collars, remote training collars, etc, but the one thing they all have the same is the basic function that they do, which allows the dog to experience the most basic type of learning, and this is called the operant conditioning. Psychologically speaking, this is a rather simple idea that goes a long way. If the dog exhibits some kind of behavior that you wish to eliminate or limit, you just have to administer some kind of positive punishment. So, what is this “positive punishment”, and how can any punishment be considered positive? Well, the “positive” part of the name refers to the application, and not taking something away from a dog; it is a stimulus. And the “punishment” part is pretty much clear to everyone – it refers to the intended effect whose ultimate goal is to stop the unwanted behavior. Basically, it is like when a child behaves in a bad way, and when a mother starts yelling at the child, the child stops. That’s a great example of positive punishment. Now, let’s get back to the dog collar. It is a product made up of 2 electrodes which are touching the dog’s skin and through them, the collar transmits the electric shocks to the dog in order to teach him a lesson. It may sound scary, but if it is done properly, it won’t hurt the dog in any way and will offer some great results. With the use of a remote, the owner can set the frequency of this dog collar, as well as its intensity and the duration of the shock. 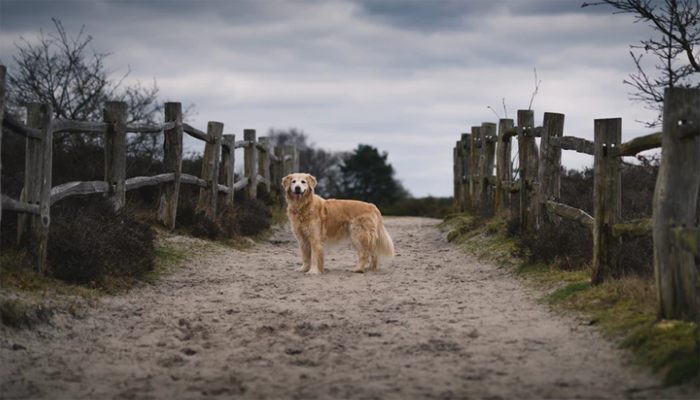 In order to get the best out of this collar, the owner will have to spend some time training with the dog, but ultimately, it will help them get rid of the undesired dog’s behavior. It is true that this collar can be a bit stressful for the dog at times, but it can also save the dog’s life. After some time and after the training’s been completed, the dog will no longer need the collar – he will have learned what can be done and what can’t, and will no longer bark, leave the property, annoy the neighbors, etc. The main issue some people have with these collars is the fact that they believe that the electric shock is something unsafe and that is a kind of torture. Well, actually, the shock that the dog gets is just enough to get the dog’s attention and make them feel a slight a brief discomfort. It does not cause any injuries, both short term, and long term. Of course, this goes for all the collars that are being used properly. There have been numerous studies done on this subject, both regarding the physiological and physical effects the collar has on the dog. If you wish to know more on this subject, check out the Electronic Collar Manufacturers Association. If you’re still not convinced that the use of electric collar is not safe, the link above will provide you with some important information on the matter. They are an association that makes sure that these collars are completely safe and human, and that it is all in accordance with the Animal Welfare Act. Intensity settings: You ought to look for several various intensity settings because you don’t really know how your dog would react to the shock that the collar provides. In some dogs, the lowest intensity shock is enough, while in others it does not change the bad behavior. Continuous Stimulation vs. 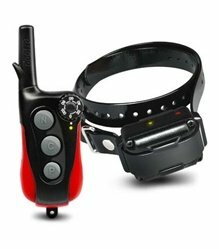 Momentary stimulation: There are some dog collars on the market that use something called the continuous stimulation, which is basically the possibility of allowing the collar to have a button that can be pressed and held down which offers a shock to the dog which lasts for 5 seconds at a time. There are also the collars that use the momentary stimulation, which offer just a small brief shock to the dog, no matter how long the owner holds the button. Build: It is really important to find a collar that can last a long time and that is durable. You don’t want to have one that breaks all the time, that malfunctions or that get ripped apart. Also, it wouldn’t hurt to get one that is waterproof, and especially if you’re taking your dog hunting. Even though it’s true that such collars might be a bit more expensive, but they are also something you shouldn’t save money on. Bark Control Collars – These are the electric collars designed for the sole purpose of making your dog stop barking. These collars work by delivering a shock to your dog, but the only difference here is the way this collar gets activated. 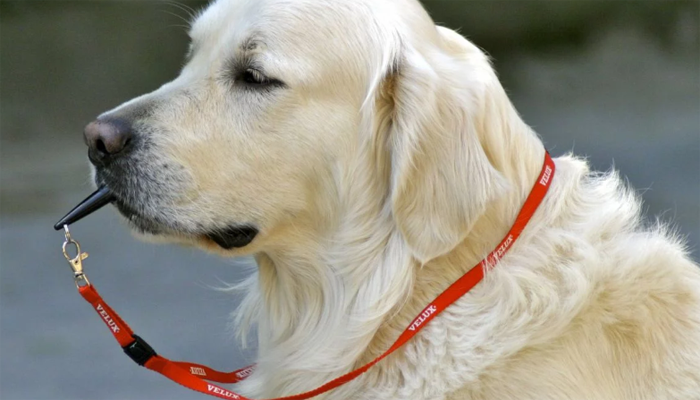 These collars are usually activated by vibration, although there are some collars that have microphones and then get activated by the very sound of your dog barking. Of course, the more expensive a model it is, the more accurate it is. Training Collars/Remote Collars – These are the collars that are mostly used to train your dog how to do certain things. You operate the collars with a remote control you have in your hands, and you are the one that determines when the time is to shock your dog in order to correct the bad behavior that he has been expressing. Many people associate these collars with something negative, but in fact, these collars can offer so many benefits which easily outweigh the negative sides. These collars can be extremely helpful, and we are going to give you just some basic benefits that they could offer. Stop your dog from barking excessively – There are some dogs that just don’t want to stop barking and bark at pretty much everything. Also, they bark all night long, which can be extremely annoying, and one can never get any quiet in their own house. 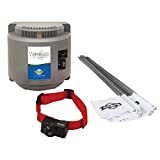 Well, these shock collars can help you reduce or completely eliminate the sound of bark from your home, meaning that you can finally have some peace. Save money on a dog behaviorist – These collars can help you save a lot of money because you won’t have to hire any professional behaviorists to train your dog. You can use the collars to train your dog yourself, and when you already have the collar, why spend so much money on these expensive behaviorists? 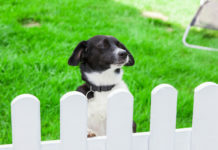 Keep your dog on your property – Some dogs love sneaking out and running all around the neighborhood, or even the entire town you live in. This can be dangerous for both your dog and for everyone and everything around him. You never want to have him hurting a child or another pet, nr do you want to have your dog hit by a cat. You can use the collar to train your dog not to leave your property, which will help the dog be safe and others around him as well. Keeps your dog well-behaved – Dogs are amazing pets, but only when they behave properly. Unfortunately, that is not always the case, and having a badly-behaving dog can be an unpleasant experience. 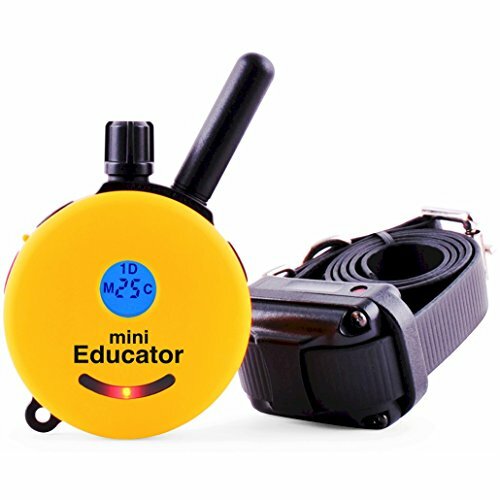 Training your dog has never been this simple and even the bad dogs can now learn how to behave properly, with the help of a shock collar. The Dogtra 1900NCP is a collar made by Dogtra and is considered to be one of their most popular products. It is a waterproof collar which has its own LCD screen in order to allow the dog’s owner to properly read the collar. It comes with a transmitter, charger, receiver, a case, and it even offers a belt clip in order to make it easy to carry around. This company has been making dog collars for quite some time and is a completely trusted brand, which is one of the reasons why it has found a place on this list. It is very easy to use and can help you eliminate the bad behavior your dog’s been expressing. Why We Like It – This is one of the best selling products of this company. 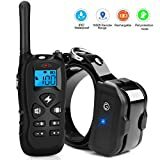 It is waterproof, comes with a transmitter, receiver, charger, and a case, has an LCD screen for reading the collar, and allows you to use a belt clip you get with it to carry it easily. Another amazing brand of electric collars is SportDOG, which has come up with this amazing product. You just can’t find a more compact collar which offers so many features, such as the stimulation, tone, or even vibration. And if you wish to experiment with something other than a shock, this collar can provide that to you. This collar comes with 7 stimulation levels, a 500-yard range, and is completely waterproof. Altogether, this means that this is a great collar which can help you train your dog quickly and easily. Why We Like It – Another amazing dog collar that seems to be the most compact model available on the market. It offers stimulation, tone or vibration as means of dog training. It offers amazing options for something other than a shock for your dog. This collar is a smaller one and was designed mostly for the smaller dogs, usually the ones starting at 10 lbs. The power of this collar is much smaller than the power of other collars made by this company. It is also waterproof, and has a 400 yard range. 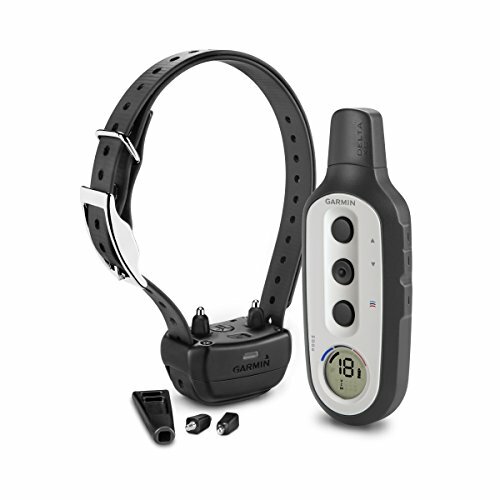 It also offers the ability to use one transmitter for two collars, in case you’re training two dogs at the same time. This is a great investment if you need to train your dog and get it to do what you want. It is amazingly effective and has been known to offer great results on various types or breeds of dogs. It also offers a pager option, which seems to be rather popular with the dog trainers. Why We Like It – This is the second Dogtra’s product off our list, and it is a smaller one designed for the smaller dogs. It has a much smaller power level than other collars this company produces, but like them, it is also waterproof and has a 400 yard range. Educator E-Collar made this latest-technology collar which allows the dog owner a possibility to make sure that their pets listen to them and their behavior remains good. It is a collar perfect for the outdoor training due to the fact that it offers a ¾ mile range and is completely waterproof. It also has an LCD screen that shows you the battery life, which makes the recharging much easier and never allows your battery to fully run out. This collar also allows you to adjust the level of shock you need to use on your dog, which is great because some dogs don’t react to the lowest lever. This does not hurt the dog in any way; it just gets his attention. The transmitter that this collar uses can even float, meaning that it won’t sink in case it comes off from your dog while he’s in water, and you can get it without much fuss. This collar is also amazing because of the fact that it can activate the beeper, which allows you to find the transmitter in case you’ve lost it. The customers seem to love this collar, and it comes with a company’s guarantee. Why We Like It – This is the most technically advanced collar out there, which provides the owners a great way of getting their dogs to behave properly. It is perfect for outside training because it’s waterproof and has a ¾ mile range. This is this company’s new product, and one of the main improvements in it has to be the inclusion of long as well as short contact points. The previous version of this collar had only the short contact points and they were not even interchangeable. This new version allows you to completely switch them out and has completely improved levels of stimulation. There are as much as 18 levels of stimulation, making the training of different sized dogs rather easy. Also, it allows the dog not to get used to just one level of stimulation. The collar also comes with 5 correction/training configurations which are being used for different behavioral problems. 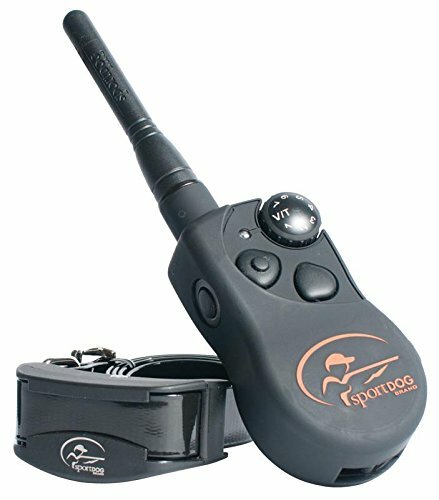 A great feature here is the BARKLIMITER, which allows you to get your dog to spot barking much quicker and easier. It is a great feature for every dog owner out there who wants to have a well-behaved dog. Why We Like It – This is a bit changed version of the previous Delta that includes both the long as well as the sort contact points. The older version only had the short ones, and they were not even interchangeable. Another improvement is the stimulation levels. According to some dog owners, an electric collar is one of the bet investments in your dog that you can get. In case you have a dog you wish to train and want to see results in a really short time, this is the best option for you. 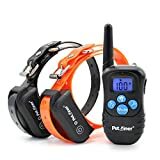 There are various training methods that you can employ to get your dog to stop the negative behavior or to stop barking, the electric collar has to be the best one. However, it is really important for a dog owner to know exactly what they want, and to look for the perfect collar that is going to meet all the requirements that the owner wants.